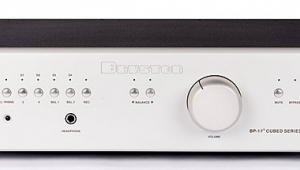 A few issues back, in my review of the Mark Levinson No.26 and No.20 (May 1988, Vol.11 No.5), I mused on the fact that the preamplifier, being the heart of a system, had a more significant effect on sound quality in the long term than, say, the loudspeakers. 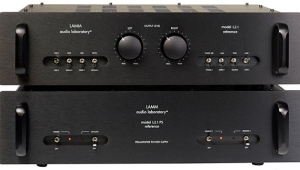 It was worth spending more on a preamplifier, therefore, than on loudspeakers. Needless to say, this viewpoint was regarded by many readers as dangerously heretical. I decided, therefore, to investigate the sonic possibilities of budget-priced preamps in this issue, even the most expensive being less than one-tenth the price of the Mark Levinson. 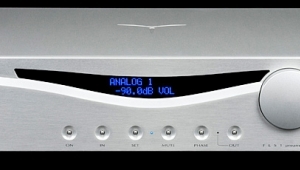 I review in this issue the NAD Monitor Series1300, the Parasound P/FET 900, and the Rotel RC-850. By coincidence, all three models chosen are manufactured in Taiwan, though two companies, NAD and Parasound, are as American as apple pie. The third, Rotel, is Japanese (though with a strong strain of English design philosophy). 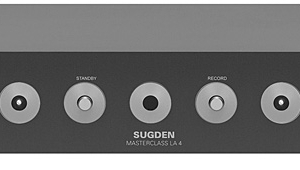 This basic preamp offers four line-level inputs, two tape loops with dubbing allowed in either direction, and a phono input, switchable between MC and MM. Its low price, however, is not reflected in the quality of its construction, the chassis having a solid feel, the circuit a rational layout, and good-quality componentsmetal-film resistors and polystyrene-dielectric capacitorsbeing used in the signal path. Internally, one large printed circuit board carries the in/out socketry and all the circuitry, apart from the mains transformer and the headphone socket. 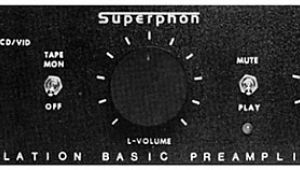 Following the signal from input to output, the phono inputs feed a rear-panel slide switch, selecting both the gain of a low-noise Signetics NE5534AN IC head amplifier and the input shunt resistance. Shunt capacitance is defined by a pair of 100pF polystyrene capacitors; these can be easily changed by the dealer to match cartridges requiring more or less capacitance. 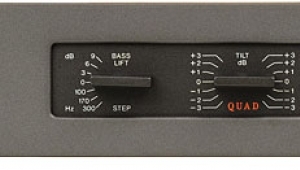 This first stage feeds the RIAA equalization circuit, this again based around NE5534AN dedicated audio op-amps, which in turn lead, via series electrolytic caps bypassed with polystyrenes, to the source selector and tape monitor switches. The line-level inputs are routed to the switching by pcb tracks, separated by ground tracks to minimize crosstalk. 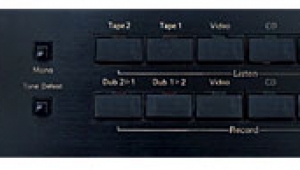 Two of the line inputs are marked "AV/AUX," and have a third, video, socket, these internally joined to allow video dubbing in either direction. The phono and CD input sockets are gold-plated. 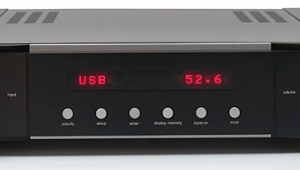 The volume control, a rather ordinary-looking component (though usefully not detented), is followed by the tone control circuitry, this founded on two NE5532 dual op-amps. A front-panel switch allows this section to be switched out of circuit and also provides stereo/mono switching. Although there is no balance control as such, the two halves of the volume control are friction-locked and can be adjusted independently. 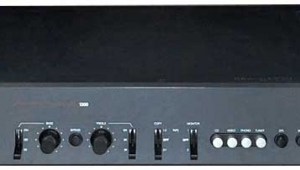 The output stage of the RC-850 consists of another dual op-amp, from JRC, this also driving headphones via a front-panel socketplugging in cans doesn't mute the main output. 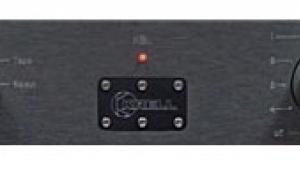 The dual20V-rail power supply uses discrete series-pass transistors; a relay mutes the output for approximately 10 seconds after turn-on; and two switched utility sockets are provided. 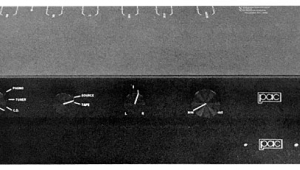 The first set of listening tests was done with the Rotel set for exactly unity gain, its tone controls set to "off," and inserted in a PS Audio 4.6's tape loop. As explained earlier, in its "Straightwire" mode, the PS Audio's output is taken directly from the volume pot, imposing very little coloration on the sound. Comparing the sound from CD via the Rotel with what is effectively a piece of wire (with a few switch contacts) revealed that it does have a characteristic signature. Tonally, the RC-850 was commendably neutral; however, it did seem to have somewhat of a "bowdlerizing" effect on the sound of instruments. When listening to a new component, I tend to reach for a piano recording first, the complex sound of the instrument being very hard to reproduce faithfully. In this instance, it was the last CD in the complete series of Beethoven piano sonatas recorded for Nimbus by Bernard Roberts, Switching the Rotel into circuit made the sound more like that of a "generic" piano, a veiling in the midrange reducing the sonic differences between Mr. Roberts' piano and, say, the Steinway used by Minoru Nojima on his Reference Recordings Liszt recital. Next went on the new Mahler Symphony 5 from Leonard Bernstein (DG 423 608-2). The sound of the introductory orchestral climax via the Rotel was clean, without too much "splash" in the treble. However, the solo trumpet introduction, where the player almost double-dots the part, increasing the music's drama, came over with less tension than when the CD player was fed straight to the power amps via the PS Audio's volume control pot. This "slowing" of the music's pulse was a consistent feature to emerge during my auditioning of the RC-850. The Flim & the BB's (hate that unnecessary apostrophe!) track "Tricycle" (from the eponymous album, DMP CD-443) is infamous in audiophile-land for the degree of "jump factor" encoded within its pits. Yet it came over as too polite through the Rotel, lacking some of the tension that it usually has in spades. It is not that there was any coloration present, apart from a slight lack of control in the upper basscompared with the straight-wire reference, bass guitar and kick drum were insufficiently differentiatedrather, there was too little of the transient impact that defines the music's framework. Despite a commendable degree of neutrality in such a low-priced component, there was something about the line stage that prevented the music from holding my attention. Turning to the auditioning of the phono stage, the noise level was gratifyingly low with the input set to MC, and the sound was clean, lacking any kind of hardness. But "inoffensive" was the word that appeared more than once in my listening notes, the musicians again sounding more tired than I had become used to with the reference. There was also more coloration present than via the line stage alone. There was a slight exaggeration of disc noise and more of a tinkly quality to cymbals and sibilance, almost as if the cartridge was being loaded with 47k rather than the 180 ohms specified (the input impedance actually measured 190 ohms). The low frequencies were also flabby. Putting the Tracy Chapman album on the Linn, the second track on side one, "Fast Car," features Larry Klein (Mr. Joni Mitchell) playing a bass guitar with a 16'-register sound. The Rotel rendered this with rather a second-harmonic tonality, fuzzying up the low-bass growl somewhat and reinforcing the "slow" impression. In my experience, this kind of too-limited control in the mid-to-low bass often correlates with a limited power supply. The main failing of the phono stage, however, was the reduction in the sense of space around individual images, as well as a sense of the soundstage no longer quite reaching out to the loudspeaker positions. 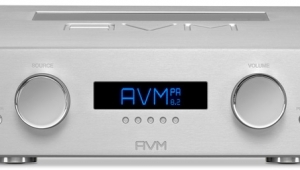 Admittedly this was in comparison with the nearly-three-times-the-price PS Audio and Van Alstine preamplifiers, but it is this aspect of reproduction, which contributes to the musically essential you-are-there feeling, that I regard as ultimately important. The acapella "Behind the Wall" track on the Chapman LP, for example, presents the singer with a degree of solidity to her centrally placed image via the PS 4.6; the Rotel rendered her more flat, with less apparent depth. 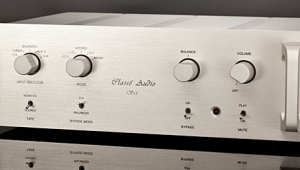 Well-engineered and made to a high standard, this preamplifier ostensibly has a commendably neutral sound. However, I wished I had liked the RC-850 more, it not so much doing things wrong as failing to do quite enough things right. 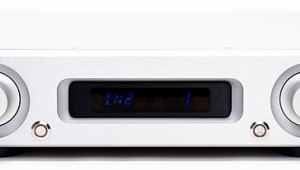 The company has an excellent reputation for producing products with a better-than-average sound qualitywitness Lewis Lipnick's review of their 820BX2 CD player in Augustand I had hoped that this preamplifier would have proved to be a giant killer, offering a sound to compete with models costing considerably more. Unfortunately, what virtues it has are let down by the rather uninvolving nature of its sound. 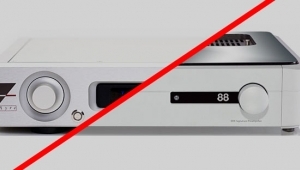 Perhaps the compromises involved in producing such a low-priced product are too great, in which case the more expensive RC-870BX ($449) may well better reflect this company's potential.